That's the main thing on my mind the last couple of weeks. It's hard getting back into the swing of things after the last year off of teaching. To get into the mind set, I started creating some fun posters that you can use in your classroom or during reading mini-lessons. So, here's a fun FREEBIE for all my fellow teachers out there! Be sure to follow my store so you know when I add new stuff! Thank you. I will definitely use these! I have been looking for a set of these for my class. Thank you so much for sharing! I am posting them in my classroom today! 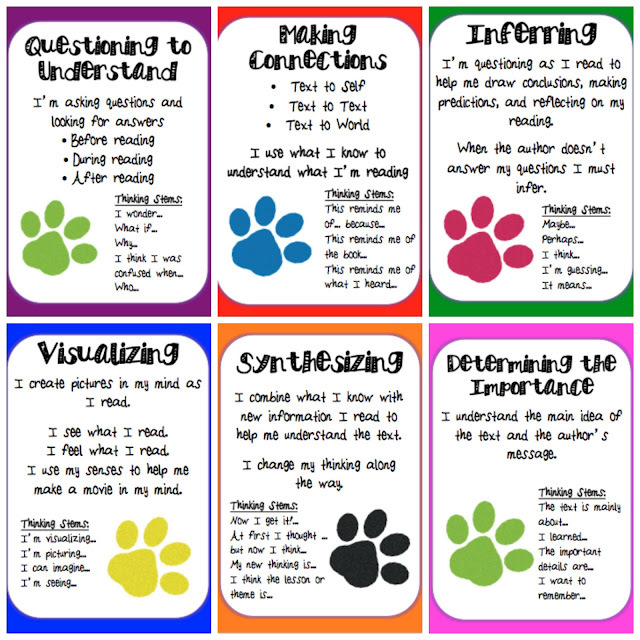 Your reading strategies posters are WONDERFUL! Thank you so much for sharing!